Liquidity: is Ofgem’s ‘cautious optimism’ justified? We investigate. 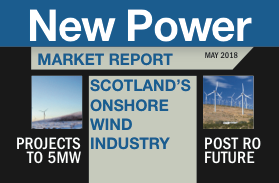 New Power is the key information resource for any organisation with a financial interest in the UK energy sector. Searchable online data on 1500 power projects in operation and in the development pipeline in the UK and Ireland, continuously updated. Consumers want low bills but support long term investment. What do they think of energy party politics? Is political influence over competition growing? Renewables provide jobs in the short term. What about the long term? Is the energy industry ready for cyber attacks? Are electricity investors heading for a crash? Supply margins: are we frightened yet? INTERVIEW: Fiona Cochrane, head of regulated utilities policy, Which? “We don’t have much confidence that you can rely on [wholesale market] prices, because of the way they are produced. FEATURE: rare metal supply: is it a risk in the power sector? “Clearly, the regulator had concerns that complexity could fall into chaos”. FEATURE: Is the infrastructure planning system helping the lights stay on? “An Act that a cynic might say was designed to deliver a third runway at Heathrow Airport and a new generation of nuclear power stations is instead shepherding a whole host of giant offshore wind farms mostly forming part of the Crown Estate’s ‘Round 3’ of site awards”.